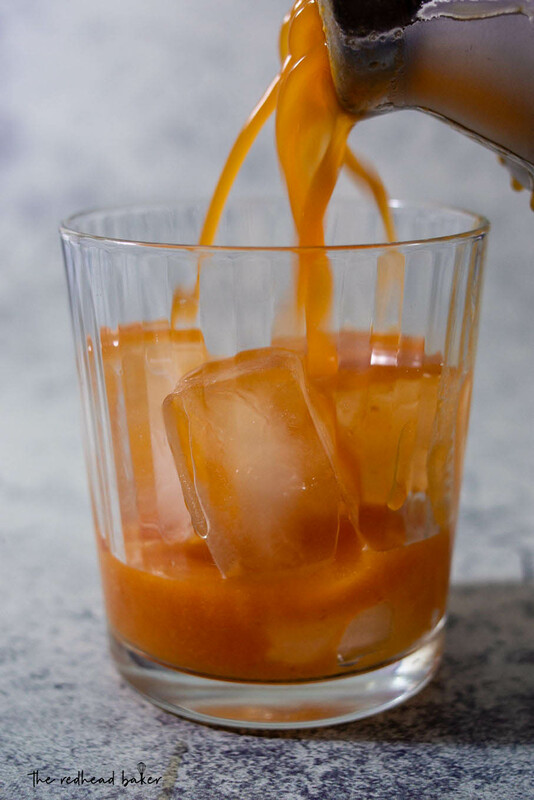 The Pumpkin Old-Fashioned — the classic cocktail of bourbon and orange liqueur gets an autumn twist with pumpkin puree and maple syrup. It’s the final day of #PumpkinWeek. I hope you’ve found at least a few good recipes that you want to try soon. It’s also the last day to get in on the giveaway, and win one of three prizes, so hop over to Monday’s post and enter! 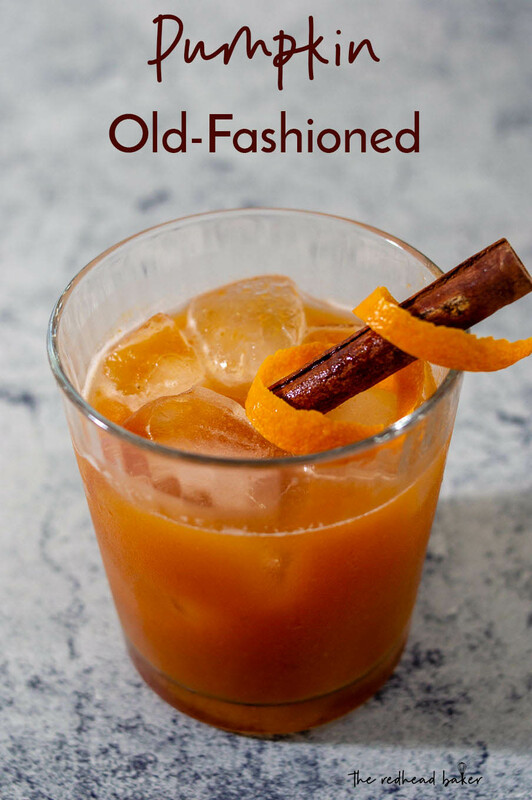 I’m lifting a glass in farewell to PumpkinWeek with an autumn twist on an American classic, the Old-Fashioned. Yes, this cocktail has ACTUAL pumpkin in it! 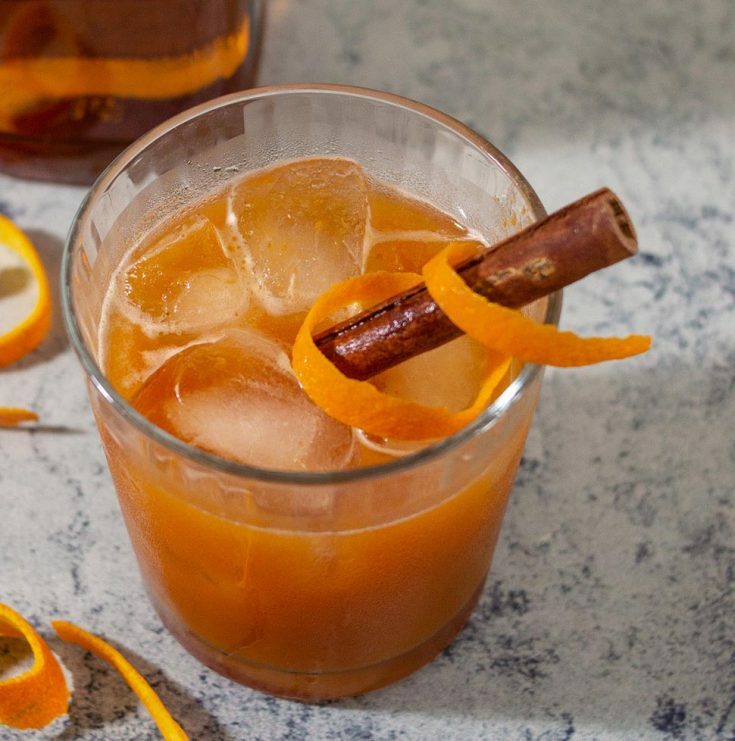 In addition to the classic ingredients of bourbon and orange liqueur (preferably Grand Marnier), this cocktail contains maple syrup and pumpkin puree. As long as you thoroughly shake your cocktail shaker, everything will blend together smoothly. This would make a fantastic before-dinner drink for any of the upcoming fall holidays. You could even mix up the bourbon, maple syrup, orange liqueur and bitters in advance and keep it chilled, then simply add 3 ounces of your mixture plus 2 tbsp of pumpkin puree per drink to your cocktail shaker to make this cocktail to-order! Place the sugar, water, and cinnamon stick in a small saucepan. Stir occasionally and bring just to a boil over medium heat. As soon as the water starts to boil, turn off the heat, and let the syrup sit until cooled to room temperature. 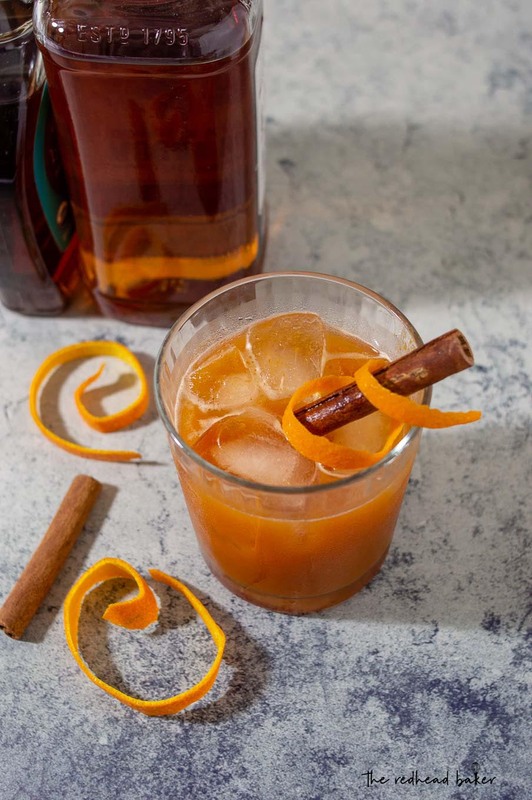 Once cooled, the cinnamon stick can be removed (rinse, pat dry, and save for garnishing your cocktails), and the mixture can be transferred to a container and stored for up to 3 weeks in the refrigerator. Combine the pumpkin puree, bourbon, maple syrup, cinnamon syrup, orange liqueur and orange bitters in the shaker. Shake well. Fill two chilled old-fashioned glasses with fresh ice, and strain the cocktail into the two prepared glasses. Garnish with a twist of orange peel and serve. Disclaimer: This recipe is intended for individuals ages 21 & up. Please drink responsibly. Thank you PumpkinWeek Sponsors: Dixie Crystals, Cabot Cheese, and Eggland’s Best for providing the prizes free of charge. These companies also provided the bloggers with samples and product to use for PumpkinWeek recipes. All opinions are my own. The PumpkinWeek giveaway is open to U.S. residents, age 18 & up. All entries for the winner will be checked and verified. By entering you give the right to use your name and likeness. The number of entries received determines the odds of winning. Three (3) winners will be selected. The prize packages will be sent directly from the giveaway sponsors. The PumpkinWeek Bloggers are not responsible for the fulfillment or delivery of the prize packages. Bloggers hosting this giveaway and their immediate family members in their household cannot enter or win the giveaway. No purchase necessary. Void where prohibited by law. This promotion is in no way sponsored, endorsed or administered by, or associated with Facebook, Instagram, Pinterest, Twitter or any other social channel mentioned in the PumpkinWeek posts or entry. Love this pumpkin-y take on an old classic.